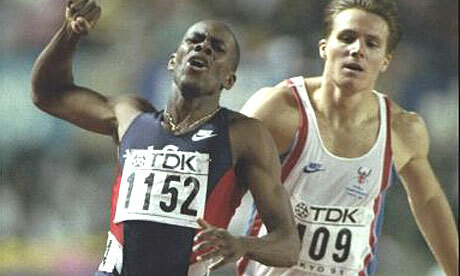 Antonio Pettigrew was an American sprint athlete who specialized in the 400 meters. He was born in Macon, Georgia. While attending St. Augustine’s College in Raleigh, North Carolina, he was a four-time NCAA Division II champion in the 400 meter race. He came to prominence at the 1991 World Championships, where he won the 400 m gold medal and a silver medal in the 4 x 400 meters relay. He admitted to using performance-enhancing drugs between 1997 and 2001, and was stripped of his 1999 World Championship and 2000 Olympic relay gold medals. 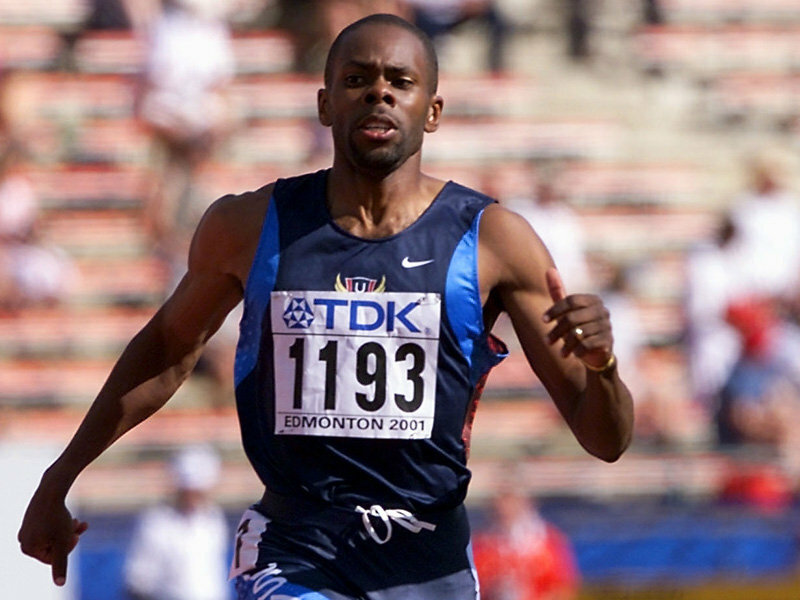 In 2008, prosecution documents related to the trial of coach Trevor Graham listed Pettigrew as one of Graham’s athletes to have used performance-enhancing drugs. Pettigrew then admitted to using performance-enhancing drugs and testified against Graham at his trial in May 2008. Although IAAF rules currently do not retrospectively alter results more than eight years after the event, Pettigrew returned the medals he won in that period. 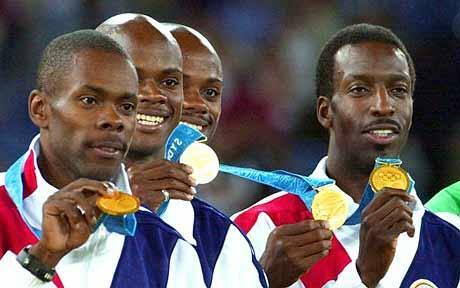 The 2000 Sydney Olympics 4 × 400 m relay US team was stripped of their medals after Pettigrew admitted that he had used performance-enhancing drugs. He received a two-year athletics ban in 2008, although he had already retired from the track. At the Summer Olympics in Sydney 2000, Pettigrew threw his gold medal winning Adidas spikes into the crowd after winning the 4 x 400m final for the USA.Pettigrew was found dead in the backseat of his locked car in Chatham County, North Carolina, on August 10, 2010. The reasons of his death are yet unknown. Evidence of sleeping pills were found by police. Suicide has not been ruled out as a possible cause of death. Pettigrew was an assistant coach at the University of North Carolina at the time of his death. This entry was posted on September 24, 2010 by kterrl. It was filed under Uncategorized and was tagged with 1991 world champion and 2000 Olympic sprinter, American athletics coach, Antonio Pettigrew, celebrity deaths, stars that died.